9 Most MYSTERIOUS Islands On Earth! Although we have been calling Earth our home for many generations, there are many theories that claim humans evolved elsewhere in the galaxy and moved here sometime in the distant past. Could this controversial and intriguing claim be true? If so, where do we come from and why did our traveling ancestors choose Earth? Researcher and author Dr. Ellis Silver were best known for proposing a scientific evaluation of evidence suggesting man evolved elsewhere in the universe. In his book, Humans are not from Earth, he lists many reasons for why he believes there is evidence for mankind’s ancestry outside of the blue planet. He also evaluates possible points of origin and a timeline for our appearance on Earth. Dr. Silver compared our human physiology to that of other animals and he believes there are many crucial differences between us. As a species, humans are particularly sensitive to sunlight. The sun has a dazzling effect on humans whilst most animals seem immune to this effect. While reptiles use heat from the sun to regulate their own internal temperature, humans experience serious troubles if exposed for more than two weeks. According to Silver, this behavior constitutes evidence that humans might have evolved on a planet with considerably less sunlight. Our genetic makeup was able to adapt to this increased radiation, but not without cost. People suffer from bad backs and have done so throughout our history. Dr. Silver believes this problem can be traced back to humans evolving on a planet with a much lower level of gravity. Despite being the most advanced species on Earth, we are surprisingly ill-equipped for life here: sunlight harms us, we are plagued with illness and we have a strong dislike for raw or naturally occurring foods. And then there’s the overwhelming feeling of not belonging here that so many people experience. Dr. Silver claims this is not a passing thing but rather some kind of genetic longing for home. “The Earth approximately meets our needs as a species, but perhaps not as strongly as whoever brought us here initially thought,” said Silver in an interview with Yahoo news. Our internal body clocks evolved to work in conjunction with a 25-hour day. Silver believes this missing hour accounts for many of our biological problems and his claims are backed up by sleep researchers all over the world. This complication is not something recent and can be traced back through mankind’s history. 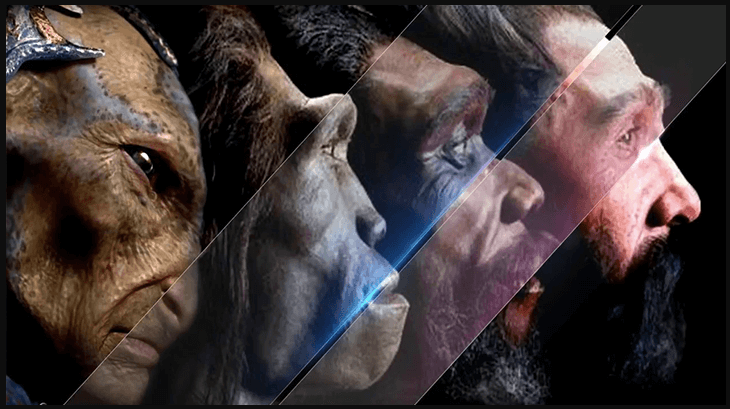 Dr. Silver explores the possibility that early pre-humans like Homoerectus were crossbred with another species. Other life on Earth could have arrived on comets or meteorites as primitive life-forms and evolved for billions of years into the species we see today, but we did not. Humans evolved from a different strain of life somewhere else in the universe and were brought here as fully evolved Homo sapiens. This happened somewhere between 60,000 and 200,000 years ago. Silver speculates this could have happened for many reasons, the most interesting of them being that Earth might be a prison planet. He believes this could account for our violent nature and behavior. If this is the case, how long are we in for? The book has been met with a healthy dose of criticism but as Dr. Silver points out, it is just intelligent speculative writing aimed at sparking debate. In any case, it makes for an interesting read. Aliens in Dulce, New Mexico? Armed Alien Soldier Caught Stalking The Curiosity Rover! Is NASA in Danger?